Have you ever seen such an incredible face? Her face looks to have been created by the brush strokes of an artist. The brown and black coloring coming together in such a way that her muzzle has this perfect black stroke down the top, not quite meeting her silky black nose. And two brown arches creating her perfect eyebrows. And don’t forget the brown interior of the ears and the perfect black exterior. 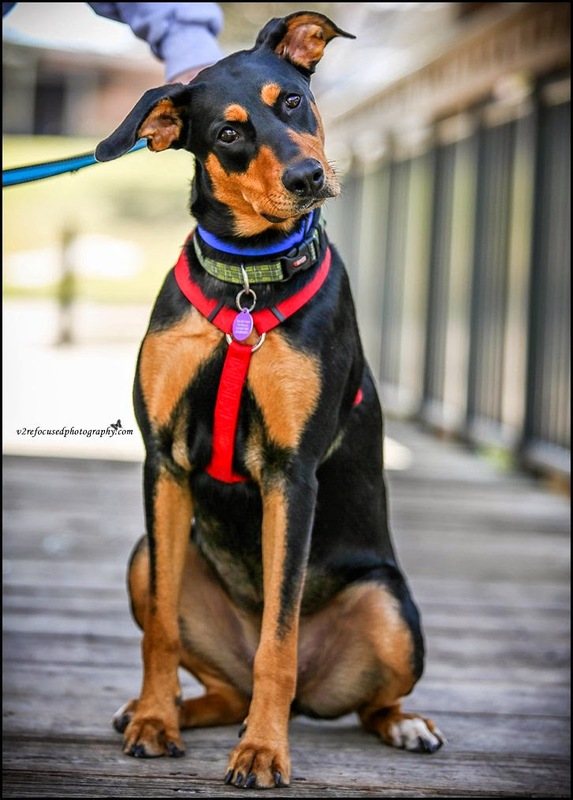 She is a beautiful young 76 lb Doberman mix with an amazing energetic and fun-loving personality. You would never know, just a few months ago, she was roaming the unsafe streets alone. No home to call her own. No one to keep her safe. Sadie’s journey to Take Me Home Pet Rescue (TMHPR) began in October. She was found by two knights in shining armor who found on the street, hit by a car. She had a broken leg and needed medical attention immediately. These wonderful men took her to the vet and made sure all of her medical needs were met. They not only saw to it that she was healed physically, but they restored her faith in mankind. They loved her, protected her and gave her the time to know what it meant to be a loved member of a family. These men would have loved to keep Sadie; however, they are maxed out in the way of four-legged kiddos in their own home. So, they found a wonderful foster Mom with TMHPR to ensure she ended her journey with an amazing forever home. 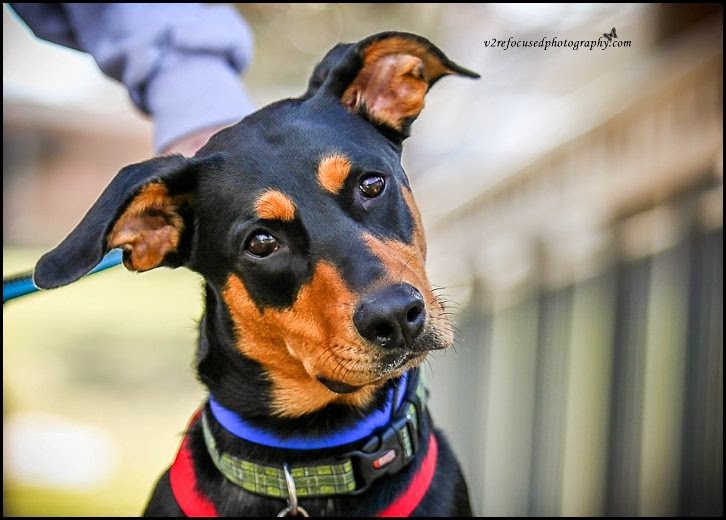 Sadie would be a great little sister to a fun loving dog who loves to run and play. She is very social and loves to ride in the car. You may find that she loves to ride where she has an excellent view out the front window. This allows her to assist as co-pilot and snag a big wet kiss ever now and again. 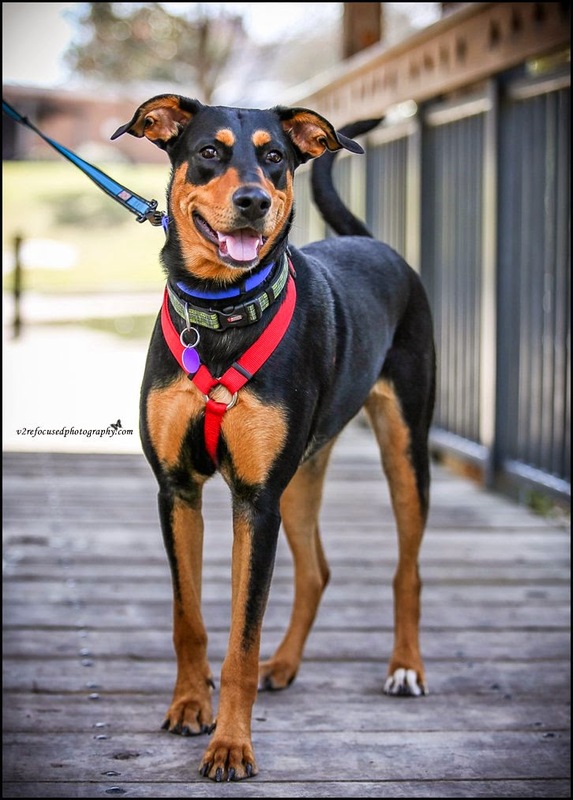 Sadie is in a foster home where she loves to play with her four-legged siblings of all sizes. She also loves the kids in the house who love to play. 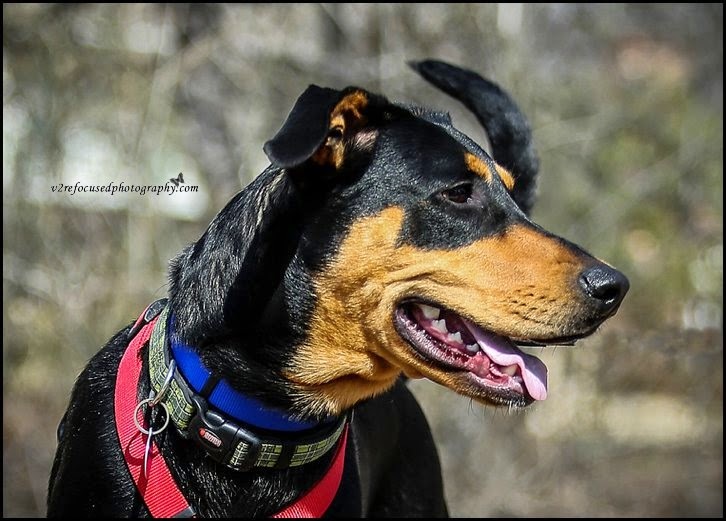 She is a smart girl who is crate-trained, house trained, walks wonderfully on a leash and had learned basic commands. Please share her and help her find her perfect home. She deserves the very best!